Hello friends! 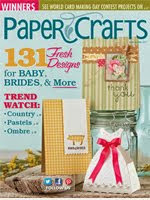 I am so honored to be designing with some gorgeous stamps this month. Nicole from Sweet Stamp Shop invited me to play along this month with some gorgeous stamp sets, and I am so happy that she did! 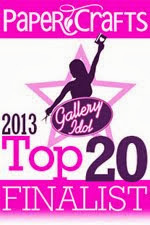 She's got some great new sets and products that you're going to love! 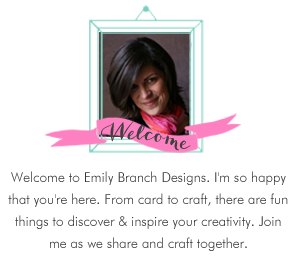 Today, I am going to share Monogram it-Stationery with you-done in three ways! This set has so many great elements! From laurel wreathes and antlers to banners and borders. 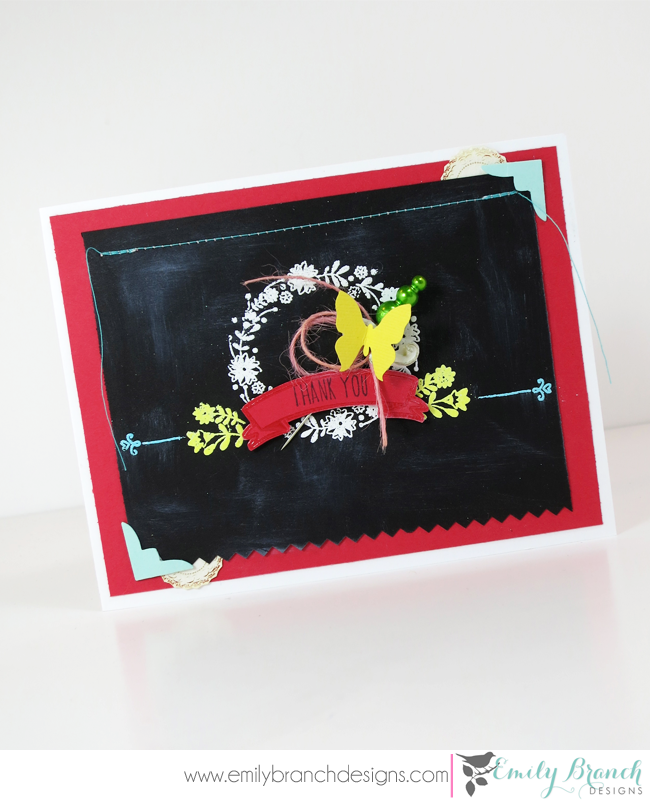 For this card I took the wreath, flowers and borders and created a folk art feel using a simple chalkboard technique. For this card I mixed the cow from What's for Dinner with the banner and a sentiment from Monogram it-Stationery. I adore the simple animals from the What's for Dinner set, and they fit perfectly inside the laurel wreathe. 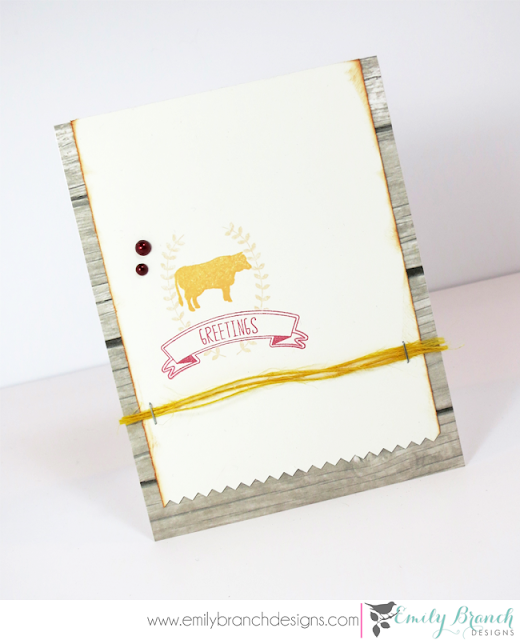 The card has a rustic sort of feel to it with the woodgrain patterned paper, and yellow twine, but it's still comes across as soft and sweet with the curves of the banner and warm yellows and reds. 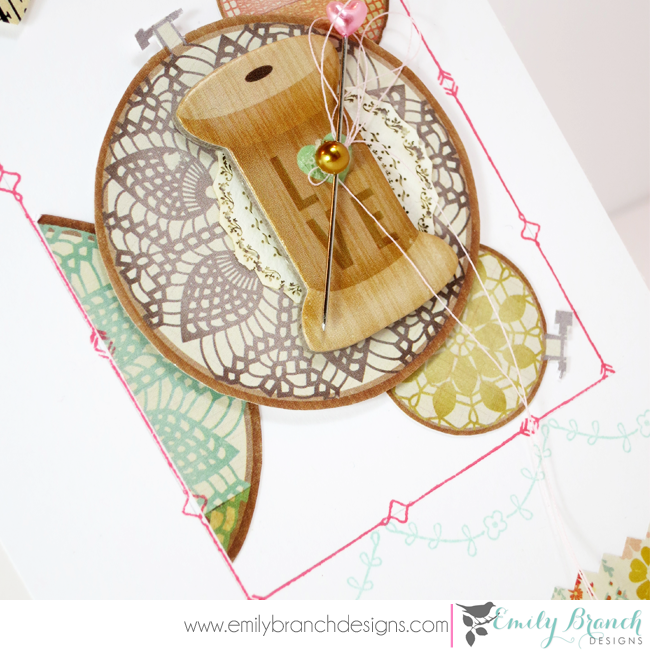 |1| Gather two acrylic blocks and the banner and sentiment you want to use. |2| Place the banner right side up on one block. Bend the sentiment stamp to fit the curves of the banner stamp and "kiss" it down on the banner stamp. 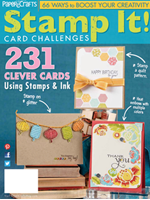 |3| Take the second acrylic block on the sentiment stamp to "pick it up" and stamp on your card. It'll bend perfectly! 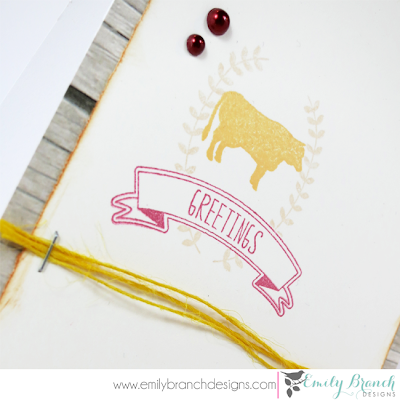 My go-to style is mixing patterned paper and stamps, and the borders in the Monogram it-Stationery set are perfect for this. I fussy cut some embroidery hoops and trimmed some paper from Crate Paper's Close Knit collection to adhere to the card. 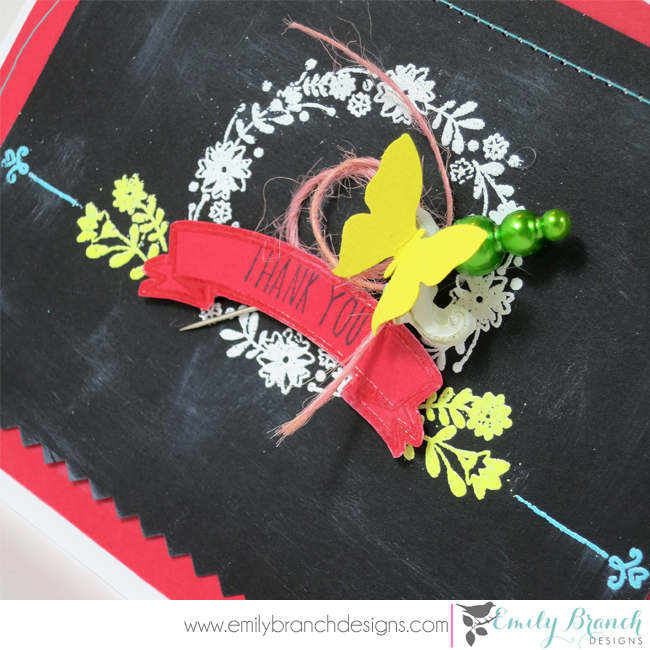 Then I stamped some borders to create a little frame and added a swag border with the leaves. You're going to want this set! 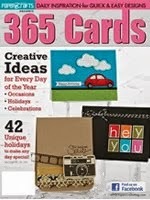 It is PERFECT for so many cards!! 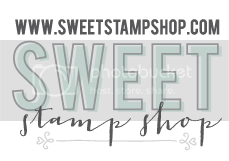 Make sure to check out the blog today for all the other new set releases including Sweet Stamp Shop's newest illustrator releases. 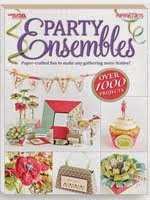 Alyssa Lea's designs are super fun and cute and were so excited she's teamed up with Nicole. 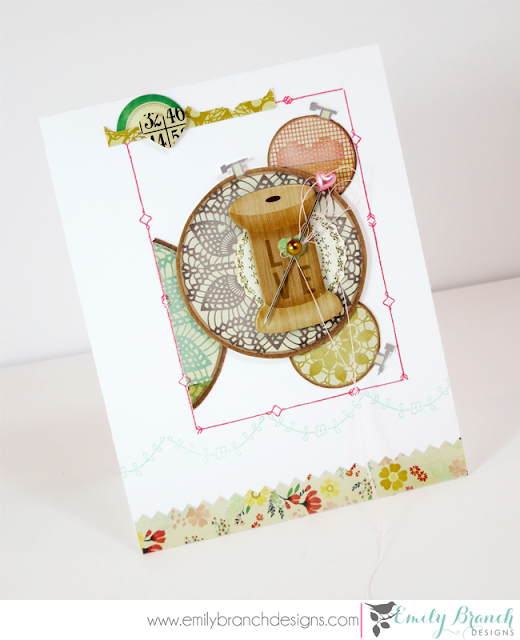 Make sure to stop by my blog in November 25th for some more fun cards from this month's release!! All three of these designs are fantastic, but I fell in love with the chalkboard card. I ordered the Monogram It set and it's on its way. Can't wait to get my hands on it. Thanks for the great inspiration!